If your MongoDB instance is located in the Cloud at Amazon Web Services for example or Microsoft Azure, your preferred access to your instance will be over SSH through port 22. Name: enter the name you want to give to the connection. Port: Tunnel port used for the SSH connection. This defaults to 22, the standard port for SSH. 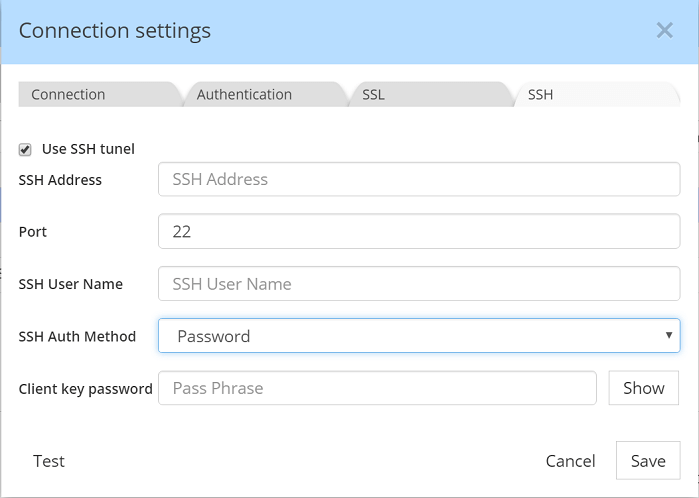 SSH User Name: Username of the profile to log into on the remote system, for which you want to establish the SSH connection. 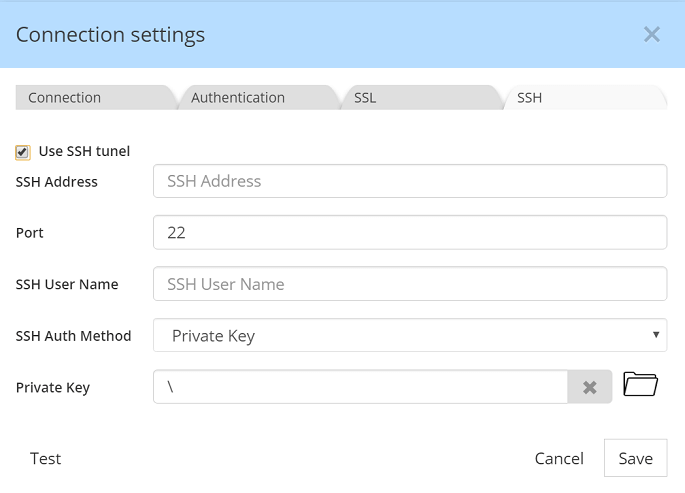 Private key: Identity file from which the identity (private key) for SSH public key authentication is read. On Windows, the location of identify files depends on your choice of SSH client. PuTTY is one commonly used SSH client. Passphrase: Used to decrypt your private keys (stored in the specified identity file), providing an extra layer of security for an SSH connection. This field is not required. Client key password: Used to secure the SSH connection. This is required if you are not using an identity file.